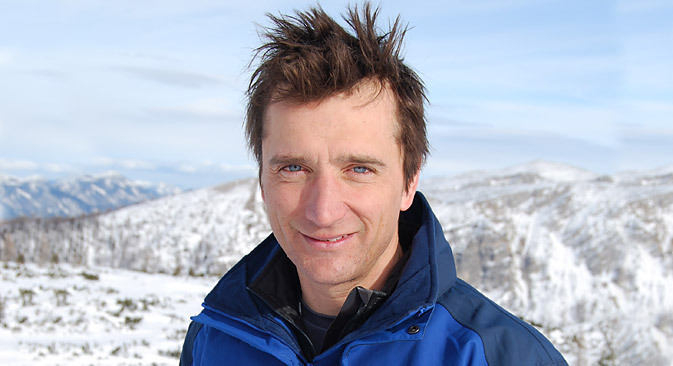 Former British Olympic skier and co-presenter of BBC Ski Sunday Graham Bell discusses the chances of Team GB at the Sochi Olympic Games. Sochi 2014 will be my 10th experience of an Olympic Games – five as a Team GB athlete. Since my retirement, after Nagano 1998, I have worked on three winter and one summer Games (London 2012), as a reporter for the BBC. The Sochi organisers have faced many challenges and a few controversies. However, without exception, all my Games have been preceded by scare stories before the opening ceremony: London 2012 would be gridlocked; Vancouver 2010 would have no snow; Turin 2006 would be not be built in time; Salt Lake 2002 would be shut down after 9/11; and Nagano 1998 would have too much snow. Once the Games started, though, all the positive stories of dedication, hard work and commitment by the athletes in their quest for gold shone through. The great challenge that separates winter from summer Olympics is finding a city big enough to stage the Games, yet close enough to the mountains to make it work, geographically. Sochi does that. The only medals that London 2012 could not present within the inner circle of the M25 were for the 10 sailing competitions, and at Sochi 69 of a total of 98 events will be contested in the Mountain Cluster. Twelve new titles are up for grabs this time around, nine of which are in skiing and snowboarding. As a former downhiller, I take a special interest in that discipline. I skied the Rosa Khutor course two years ago at the test event, and while they have opened some of the tighter turns the top section is still very steep. The speed picks up as the course dives into a big wide bowl, while the lower section features a couple of massive jumps that will send the racers flying around 60-70m (almost 200-230ft). It will be a real test. Ski jumping has been ever-present since the first Winter Games in 1924, and Sochi brings to a close the chapter of men-only Winter Olympic events with the introduction of a women’s competition. But it is the new sports of slopestyle skiing and snowboarding that represent Team GB’s best chances of winning a medal on snow. James “Woodsy” Woods won the World Cup title last season in men’s slopestyle, and snowboarders Jenny Jones and Billy Morgan also have medal chances. Also in the mountains, on the skeleton track, Britain boasts the hot favourite for gold in Lizzy Yarnold. Winner of four of the seven World Cup competitions this season, the 25-year-old looks set to continue the tradition of British sliders winning medals at every Games since 2002. At Sochi 2014 there will be the strongest British team at the Winter Olympics since the inaugural Games in Chamonix in 1924, when four medals were won. Ninety years later, UK Sport has set a target of three medals, but admits that as many as seven could be a possibility. As was shown at London 2012, a strong performance by the home team does wonders for the spirit of a nation, and I have every confidence that Sochi 2014 will be no different. A strong Russian biathlon team led by Olga Zaitseva and Anton Shipulin should bring home medals, and Yevgeny Plushenko will try to add to his tally of one gold and two silvers on the figure skating rink. But it would be Russian gold in the men’s ice hockey tournament that would produce the most thrilling climax to the Games.